Laura M. Born held the title of Managing Director in Investment Banking at J.P. Morgan Chase & Co until 2007. Over her 16 year tenure, she worked in the Equity Capital Markets, Leveraged Finance and Investment Banking Coverage departments. During her career, she focused on consumer clients and financial institutions. Her transaction experience includes mergers and acquisitions, divestitures, initial public offerings, secondary equity offerings, convertible bond offerings, leveraged finance bank and bond transactions, investment grade bond transactions, and interest rate swaps and derivatives. Additionally, she provided advice on company valuations, strategic direction, capital structure, shareholder payout decisions, rating agency process, equity road shows, and conducted seminars for clients. She currently serves as the Chair of the Trustees for the Columbia Acorn Trust and the Wanger Advisors Trust (small and mid-capitalization equity mutual funds), a member of the Board of Directors of Carlson Inc. (largest business to business travel management company and private equity platform) where she is also the Chair of the Audit Committee. In addition, Born serves as a member of the Advisory Board of Directors of Driehaus Capital Management. Closer to home, Born is also Secretary, Executive Committee member and Board Member of the Infant Welfare Society of Evanston since 2007. 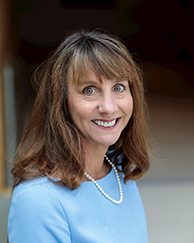 She has been involved in public education initiatives in her public school district, having served as: a Co-Chair of the 21st Century Learning Sub-Committee, a member of the Central School Improvement Plan Committee and a delegate to the New Trier High School Board of Education Caucus. Born earned a bachelor's degree in economics and political science from Duke University in 1987. She received an MBA in finance and accounting with Honors from Chicago Booth in 1991. She enjoys Italy, traveling, art history, yoga, hiking, and downhill skiing. Italy, travel, art history, community outreach, downhill skiing and K-12 education.